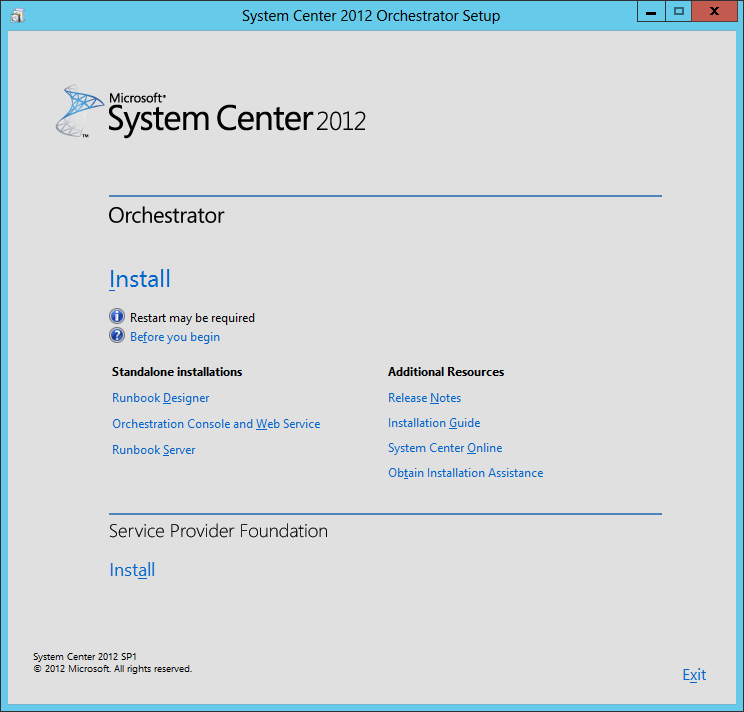 We are ready to install SCORCH. 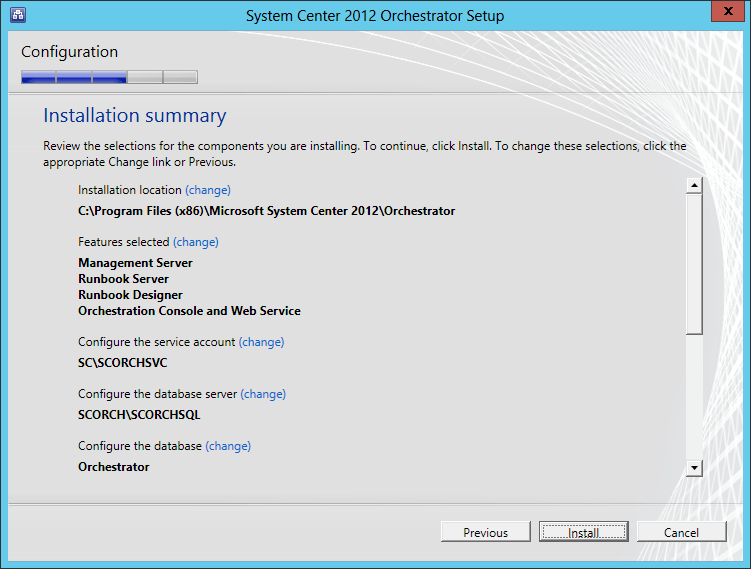 To start, before we will actually be able to install SCORCH, we have to install a few prerequisites. 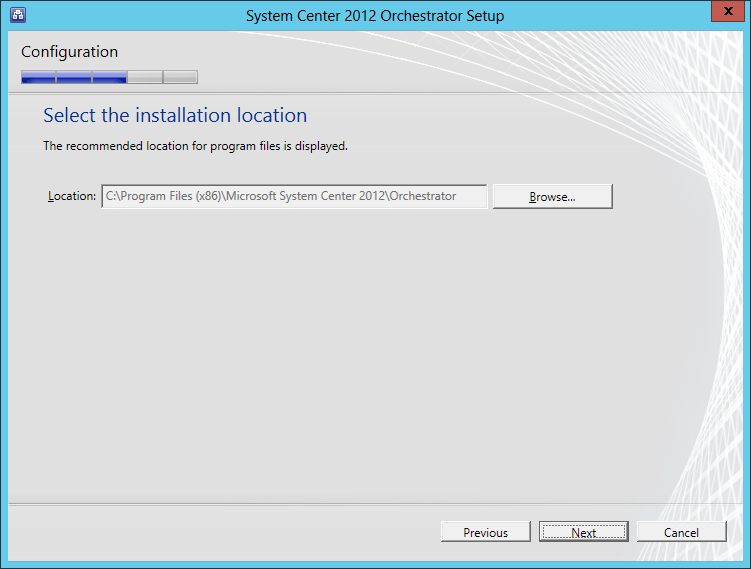 Start by either extracting the DVD contents, or mounting the ISO (the TechNet ISO is currently labelled as en_system_center_2012_orchestrator_with_sp1_x86_dvd_1345499). 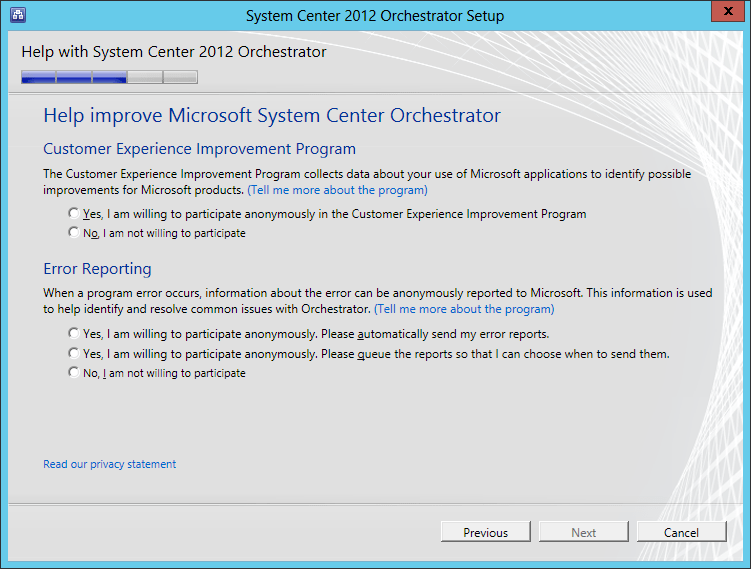 Start by running the SetupOrchestrator.exe. 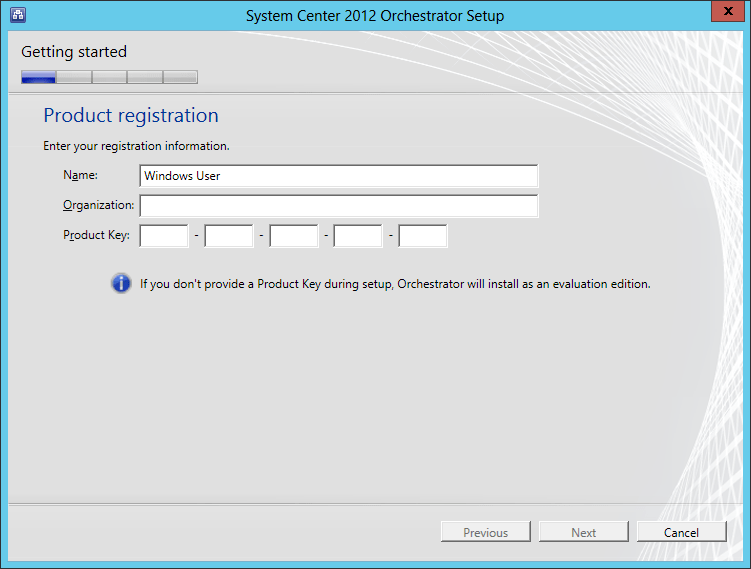 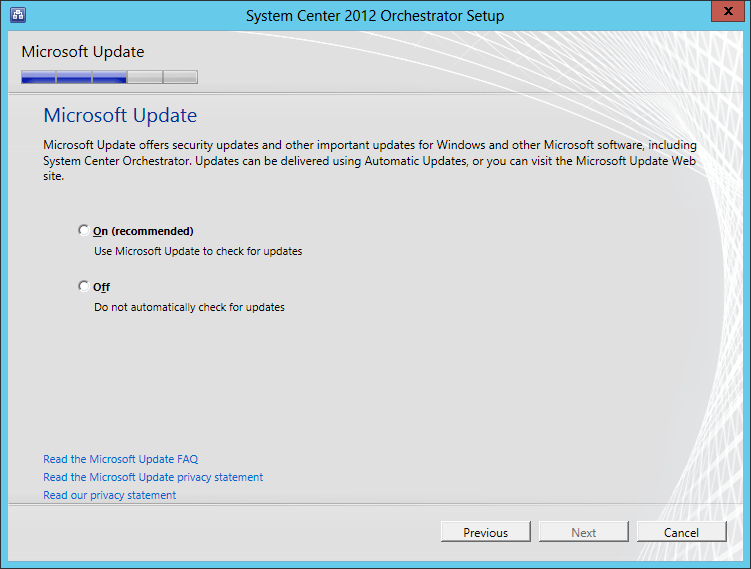 New to System Center 2012, you can use Microsoft Update to find updates for the product. 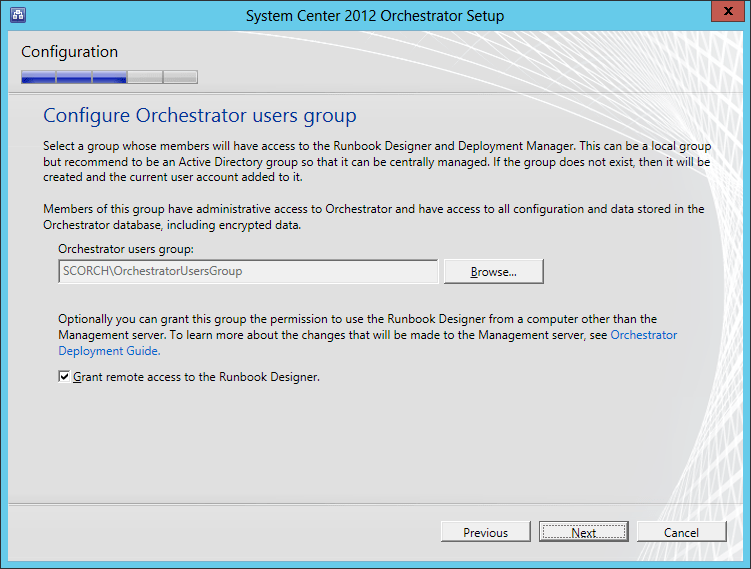 In a Production environment, you would probably not want to do this, since there will more than likely be Change Management controls around updating/patching. 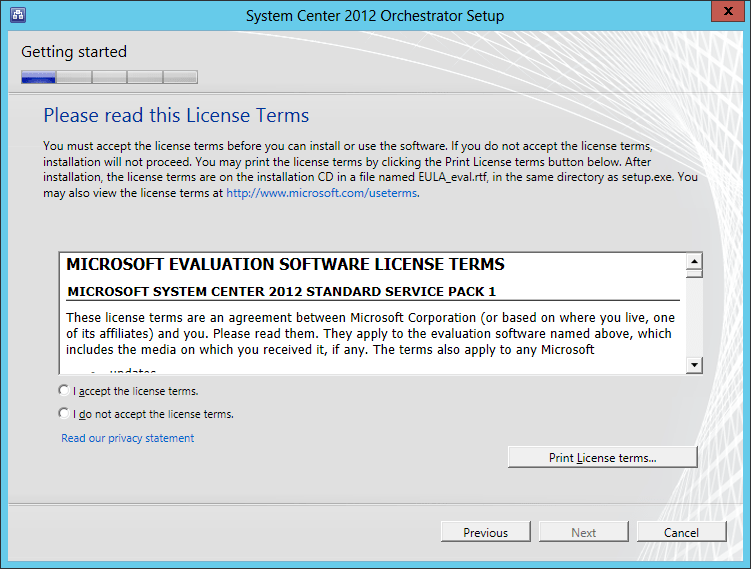 In this lab example, I am not going to enable Microsoft Updates for the product, so that in the future I will be able to document the update/upgrade process in detail. 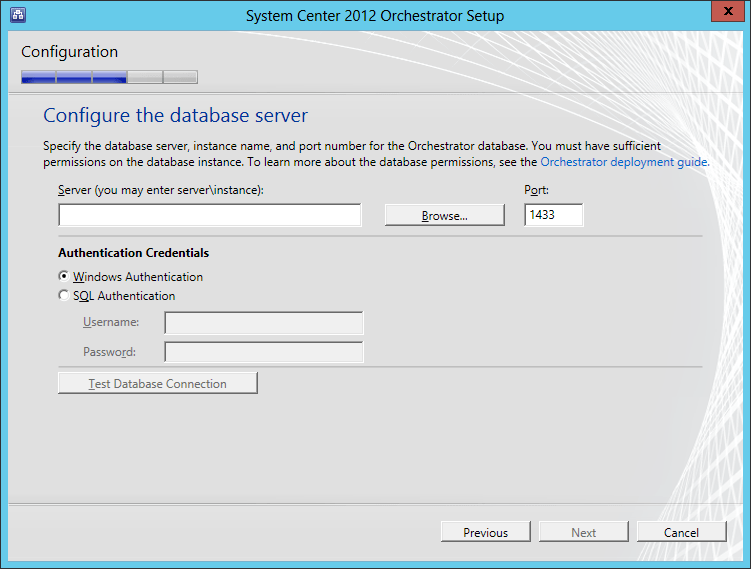 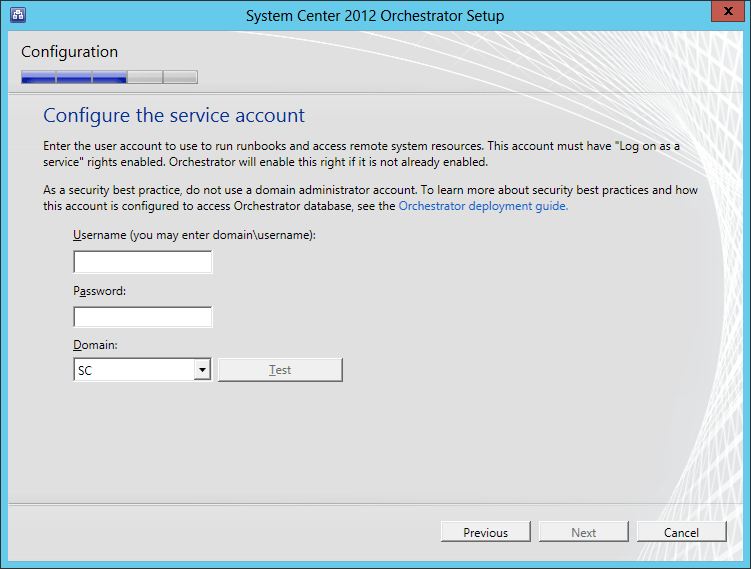 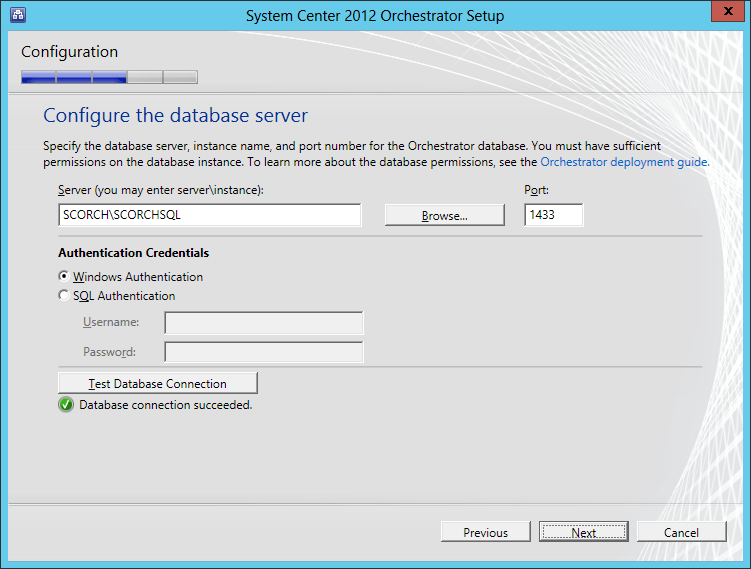 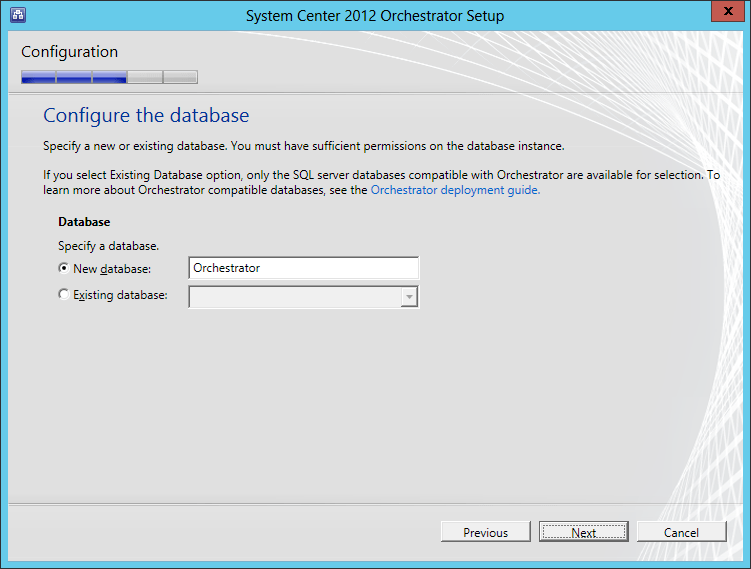 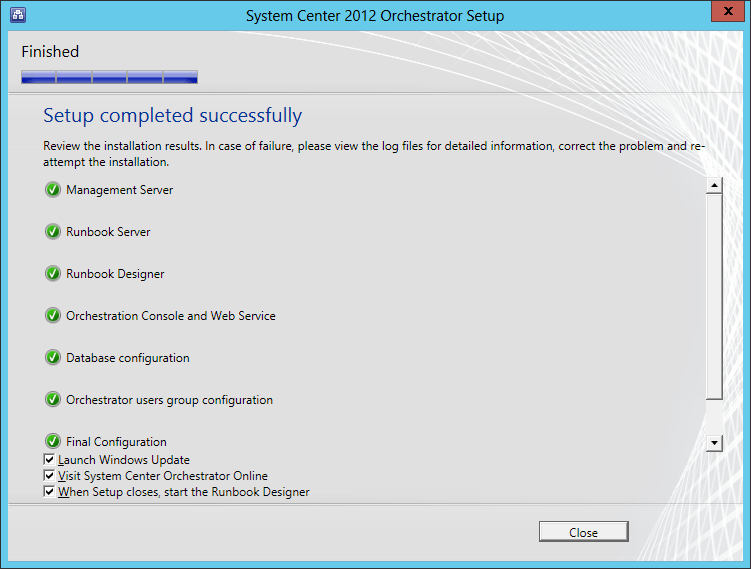 Congratulations, you have now successfully installed System Center Orchestrator. 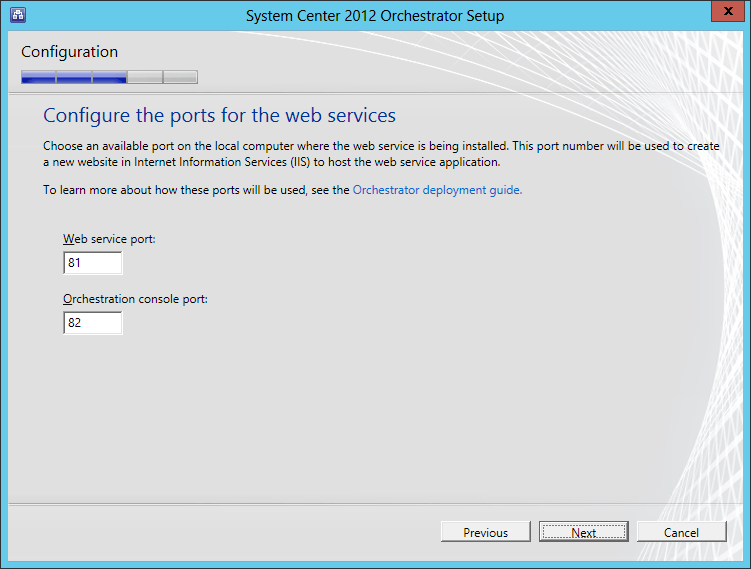 It’s fairly simple/straight forward. 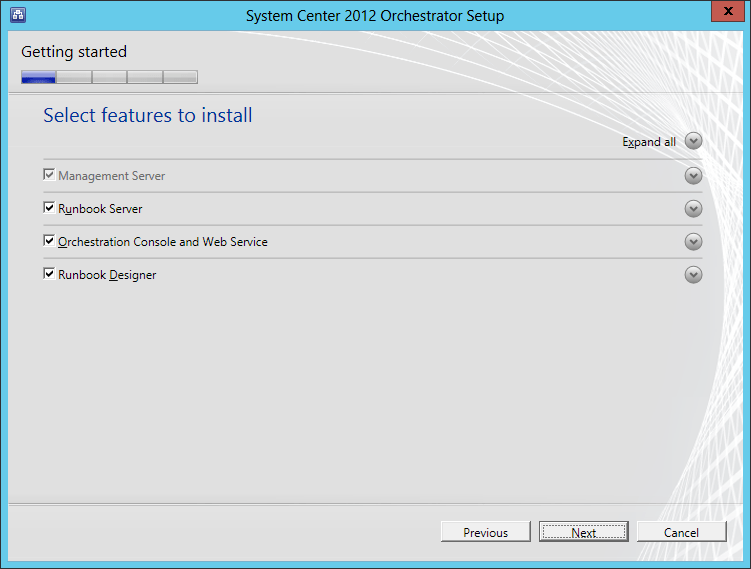 But after installation you now need to work with Integration Packs, and Runbooks.